This always happens. We put up a fantastic exhibition; the public enjoys it, raves about it even; and then I wake up months later as the show is about to come down and realize that I have yet to spend any appreciable time with it. It was always there, waiting for another day when there were fewer responsibilities, fewer fires burning, the sort of day that never comes. Behold! Here it is, the first week of December, and I’m in the same boat once again. Painted Metaphors, another praise-worthy exhibit from the University of Pennsylvania, sits just a couple of feet away from me on the other side of my office wall, and nada. No time spent. Zilch. And it gets deinstalled next week. So I ignored all the voicemails and emails and daily responsibilities yesterday and took the time while we were closed to the public to give myself a private tour. And as always, I was wowed. I was struck most deeply, as is often the case, by the themes that are not explicitly highlighted in the label texts. Most notably, I was moved by what creativity and inspiration were to be found in the everyday objects of the ancient Maya, much more so than most of the everyday objects found in our own contemporary culture. Just look at this incense burner in the form of a deity head, for example. So colorful, so engaging, so wild and crazy. I imagine he’s the Maya equivalent of Alice Cooper. He makes me want to burn incense just for the sake of burning incense. 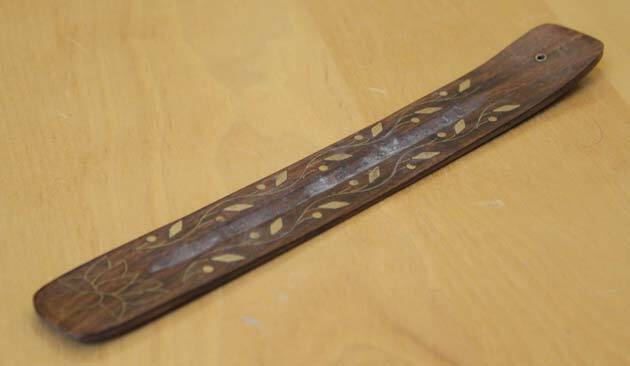 For contrast, I offer you this image of the incense burner that sits at home on my shelf. Highly functional, to be sure, but where’s the excitement? Where’s the Alice Cooper factor? Do you like chocolate? 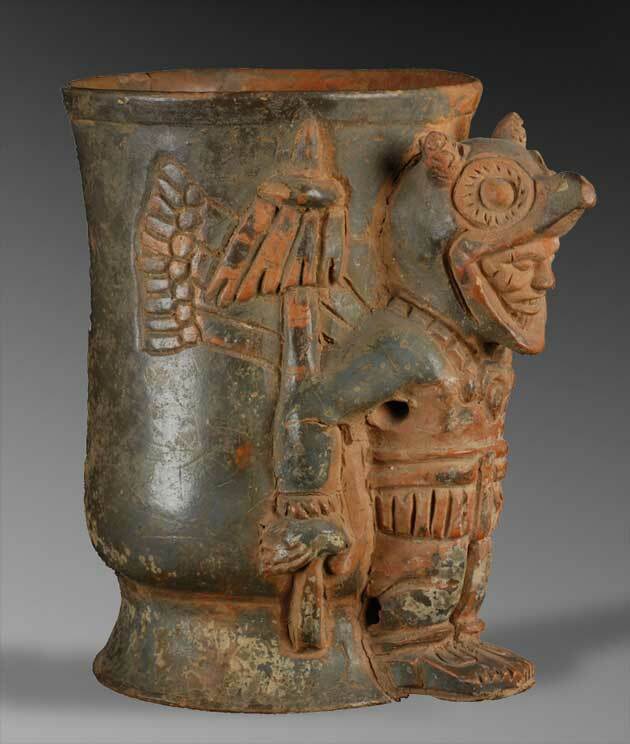 Imagine drinking warm, frothy, molten cacao from a vessel like this warrior effigy vase. Have you ever seen such an exquisitely dressed warrior standing guard over an essentially utilitarian object? If he occupied my cupboard I would sleep well knowing that my cacao was safe and sound. Mind you, this and many of the other objects in the exhibit were ritualistic, but that’s what makes them so striking and powerful: they were used each day to infuse common moments with the gravitas of spirituality. Warrior Effigy Vase, Chipal, Guatemala, Postclassic (900–1200 C.E. ), plumbate pottery, 10 x 8 x 8 inches. 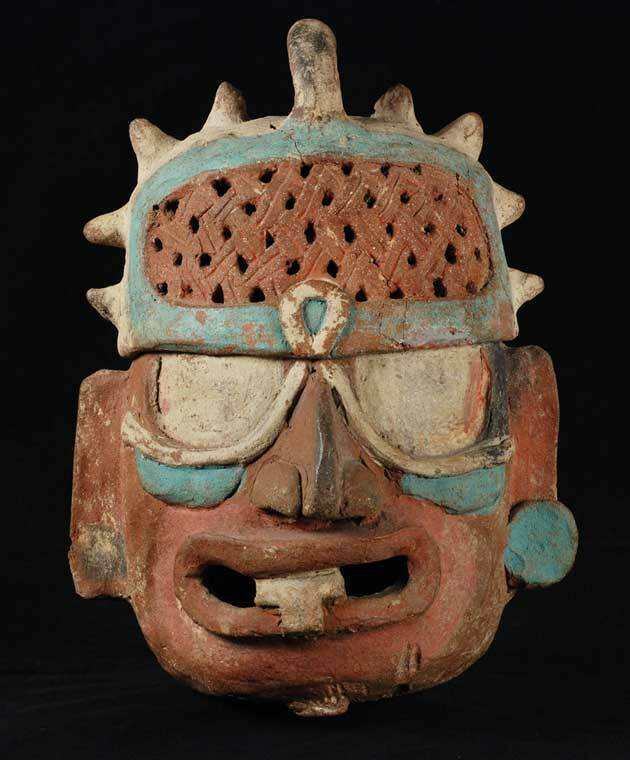 Collection of the University of Pennsylvania Museum of Archaeology and Anthropology, NA11531. 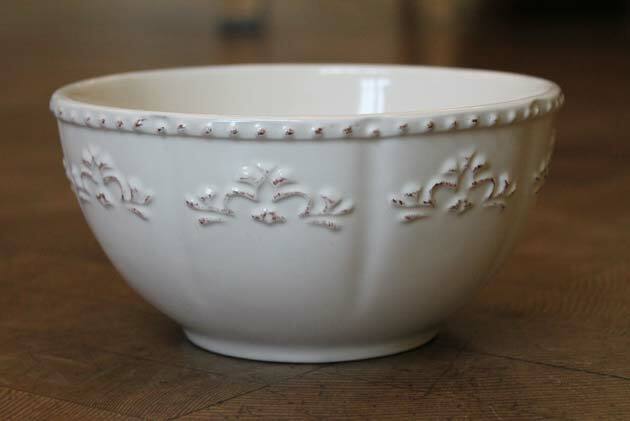 Again, for contrast let’s consider this cereal bowl borrowed from the top rack of my dishwasher. It’s actually fairly interesting as bowls go, and one might even suggest that it’s worthy of holding molten chocolate, but I would be far more likely to indulge in the delights of the dark bean if served on the back of a warrior. I bet he even scares away the calories. The sanctification of the mundane is an art that has been all but abandoned by the vast expanses of contemporary civilization. We live such stressful lives, sprinting each day from pillar to post in an attempt to make ends meet. The most adept among us manage to take the time to enjoy the smaller moments, but the larger majority of us, I included, rarely manage to live a life of intention and inspiration. We are hyper-efficiently utilitarian in our endeavors, and the ordinary objects with which we surround ourselves reflect that ethos. We drink our cacao, but we don’t celebrate it with the reverence and creativity it deserves. We don’t make enough room for Alice Cooper at our breakfast table. Oddly enough, now is the best time to consider changing that. Here we are in the full swing of the holiday season, the season of hot chocolate and reverential reflection. It’s the perfect time of year to be reminded of the potential for creativity and awesomeness in even the smallest of moments. And if the cereal bowls in your cupboard just don’t cut it, well, a few moments spent with the ancient Maya and the wonder of their everyday objects may be just what the rocker ordered.